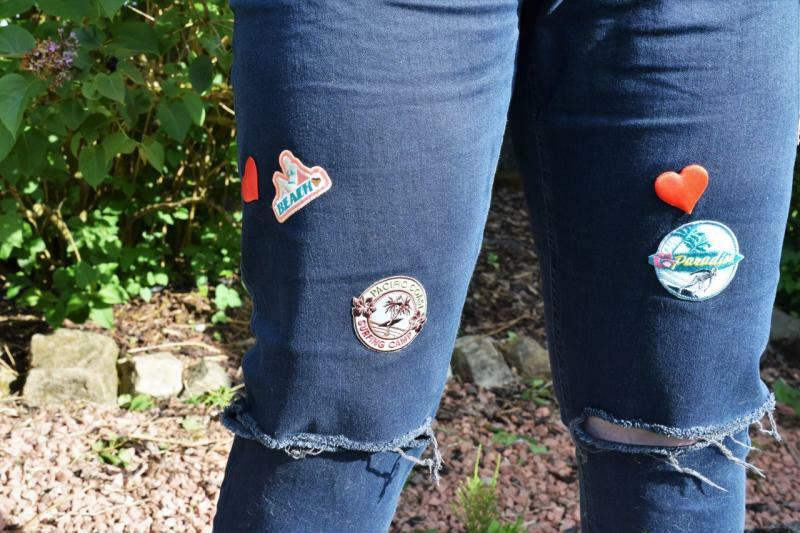 There’s a huge craze for patch-embellished jeans and clothing at the moment, but they can be quite expensive from places such as Topshop and ASOS. 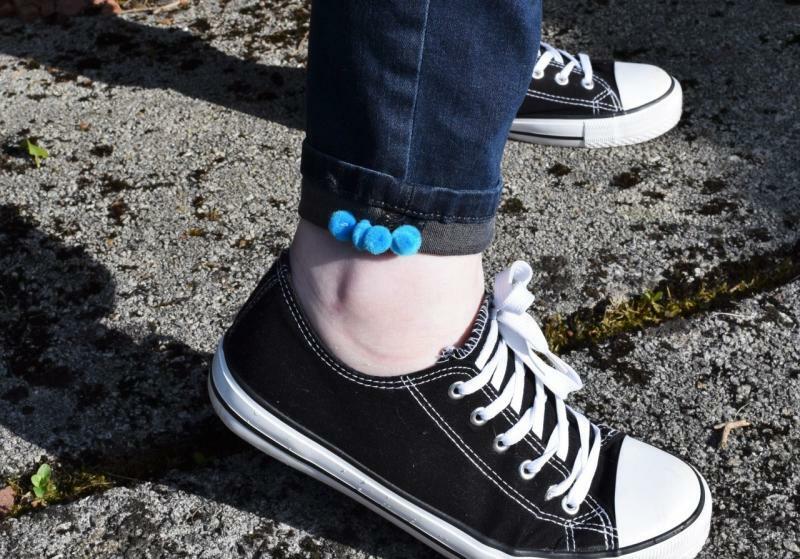 It’s really easy to create your own custom one-of-a-kind pair for only around £25. 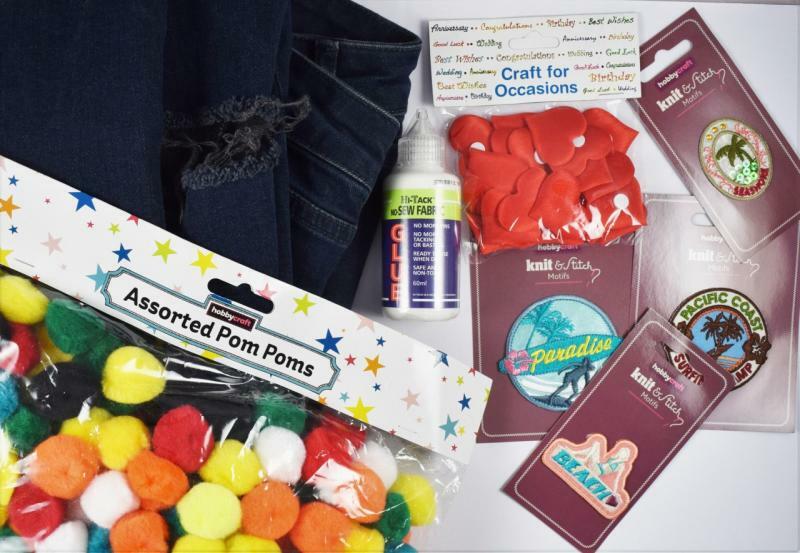 First, lay out your jeans on a flat surface and remove all the patches from their cardboard backing. 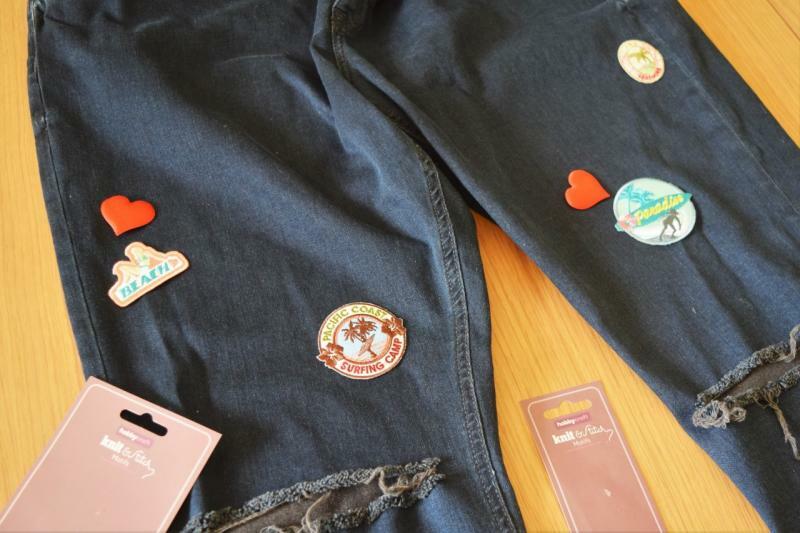 Lay out your iron-on patches and heart embellishments onto the denim where you would like them to go. 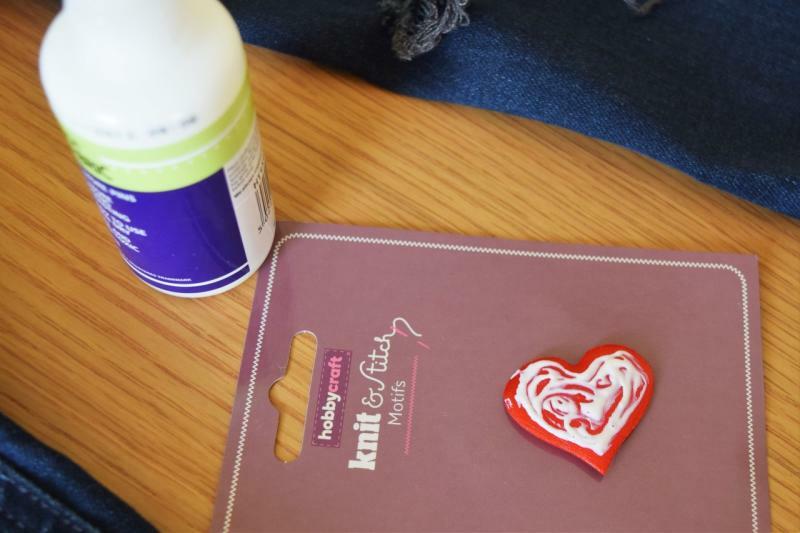 The hearts are going to be glued on, so stick these down before ironing on the patches. Apply some glue to the back of your hearts and let it sit for a couple of minutes until it goes to a tacky consistency. 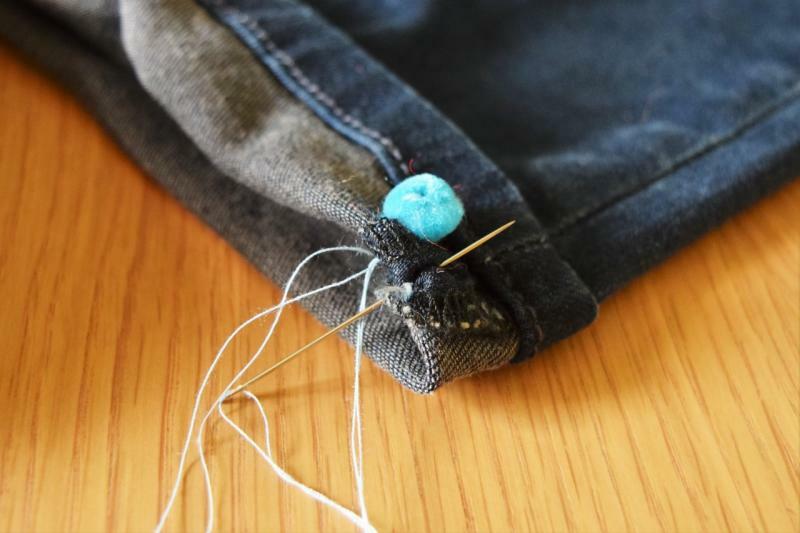 Now firmly press the hearts down onto the denim and hold in place for a few seconds to help them attach. You now need to iron on your patches one at a time. 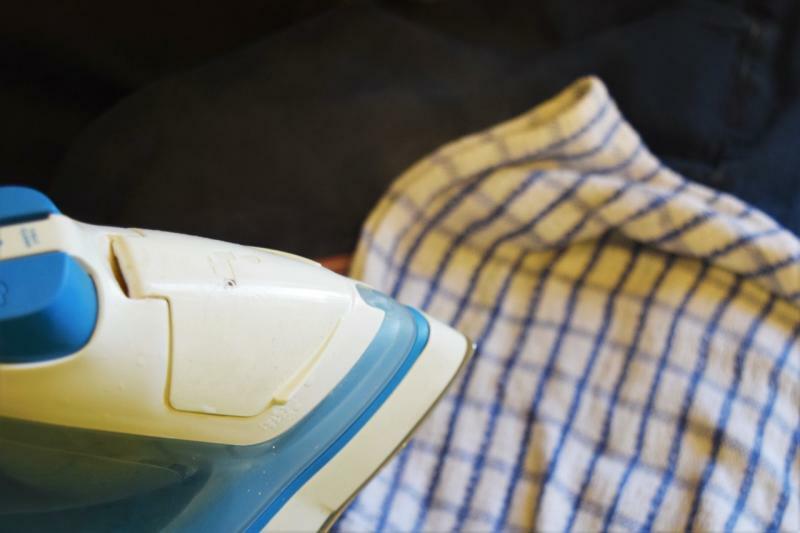 Set your iron to the ‘cotton’ setting (150-170 degrees) and place a damp dishtowel over the patch. 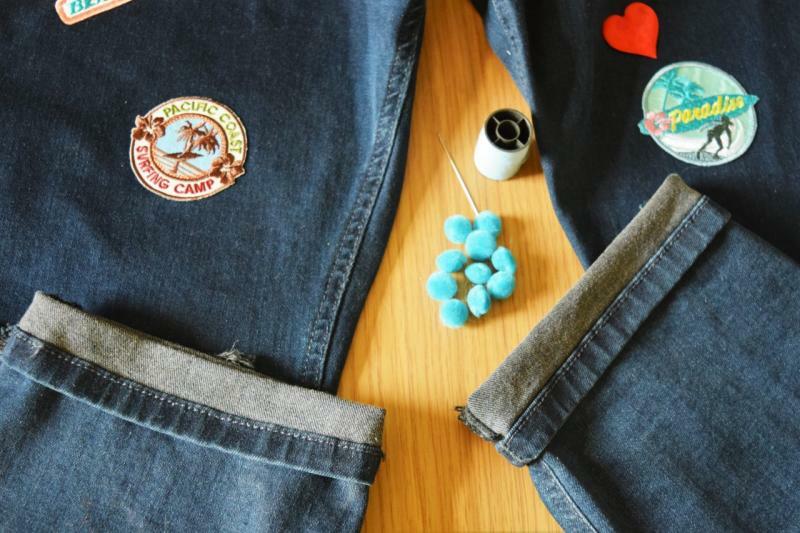 Hold the iron down on top of the dishtowel and patch for 30 seconds without moving it in order to bond the patch to the denim. Finally, remove the dishtowel, re-dampen it and move on to the next patch. 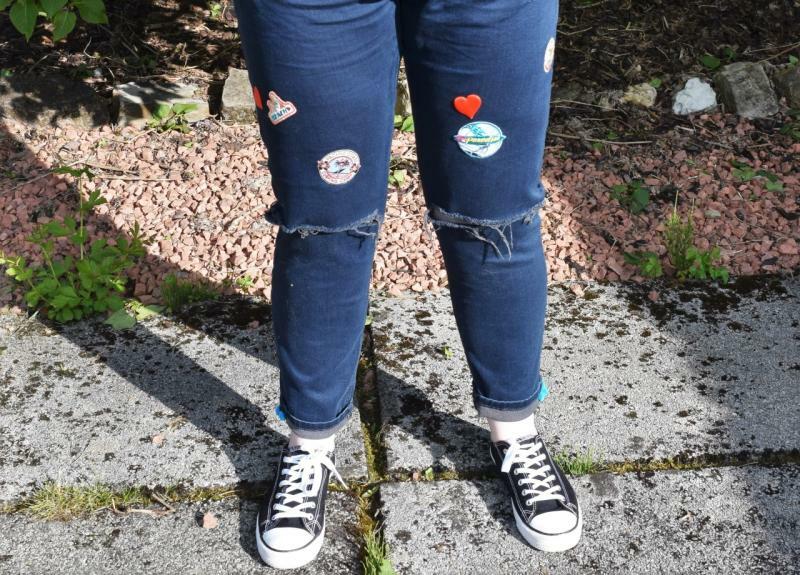 You need to leave all the patches for 30 minutes to dry and finish securing themselves to your jeans before moving on with the next stage of the customisation. 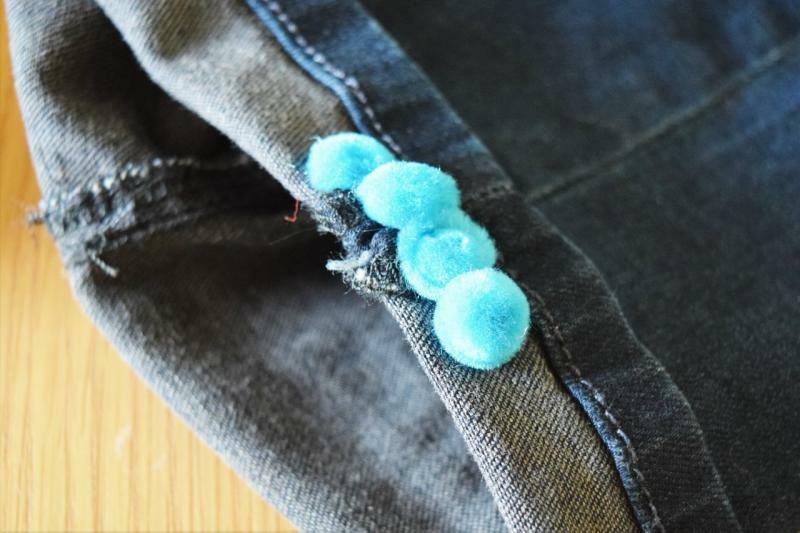 Turn up the bottom of your jeans as far as you wish to and hem them with the No-Sew Fabric Glue to stop them unfolding. Finally, thread four pompoms in a row onto the outside edge of the bottom of the legs for a cute little extra that remind me of waves.